Helsinki Design Weekly chose the most interesting events for the first month of 2016. Escape from the cold winter weather by heading to galleries and museums or immerse yourself in the world of documentary films at a documentary film festival. 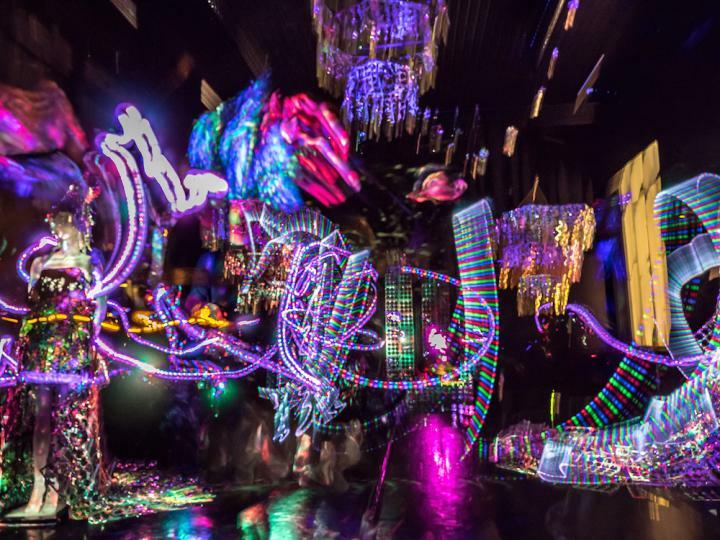 We also suggest you to visit the Light Festival Lux Helsinki. But remember not to freeze yourself in the cold weather! This year Lux Helsinki’s artworks will be on display along a new route from the Ateneum Art Museum to Annantalo. The works will include installations such as Color Park in the Vanha Kirkkopuisto (Old Church Park), CLOUD in Annankatu, and Valoleikkipuisto in Annantalo where you can participate in workshops on light-based themes. Now being organised for the eighth time, Lux Helsinki is suitable for the whole family and entry is free of charge. This year the festival serves also street food. DocPoint – Helsinki Documentary Film Festival takes place annually in January in Helsinki. The whole programme for the 2016 DocPoint festival will be announced on 8th January. The programme will include for example Helsinki related films among others. Helsinki, Forever by Peter von Bagh will be shown on Wednesday January 28. This year the focus of the joint programme of the National Audiovisual Institute and DocPoint reflects the political events in the capital. Helsinki and politics! I-III will screen on January 31. This exhibition co-produced by the Museum of Finnish Architecture and the Finnish Association of Architects SAFA looks at the evolution of Finnish hospital and health care architecture. The interesting exhibition presents architecture through architectural competitions arranged from the late 1800s through to the present day. Hospital design has always reflected its era and changing ideas about health and health care. As philosophies have changed, architecture has readily adapted to new challenges. Måndag organizes a flea market for men at its office on Siltasaarenkatu. Join for interesting programme, food and to make some second-hand bargains. For the first time in Finland, Galleria Heino presents Elina Brotherus´s (b. 1972) photographic series Les Femmes de la Maison Carré. The series was shot in May 2015 in Bazoches-sur-Guyonne on the outskirts of Paris at Maison Louis Carré (1959), a private residence designed by Alvar Aalto. The series was first exhibited at the residence in the autumn of 2015. Tommi Grönlund and Petteri Nisunen are known for using science and technics in their installations. The new exhibition opens on January 7 at Galerie Anhava. Helsinki Design Weekly introduces the most interesting events in town, covering all things design and related. Interested in featuring your event in our selection of upcoming events? Please contact info(at)helsinkidesignweek.com.